OTA’s GTO75E Vapor Recovery Unit with Variable Frequency Drive (VFD) is ideal for applications where electricity is available to your location. 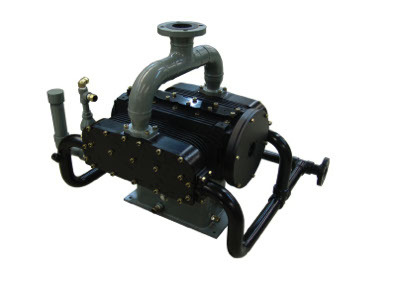 The GTO75E VRU package utilizes a 75HP 480V electric motor to power a Sertco 150 compressor. The VFD allows the GTO75E to fit on almost any vapor recovery application where electricity is available making it the most versatile VRU available. As suction pressures fluctuate, the VFD will allow the electric drive motor to automatically adjust its RPMs accordingly. This package is designed for flexibility, ease of service and low maintenance. The VRU is so precise it can monitor and react to the exact ounce of pressure you command it to.